Fighting fires in hoarded homes is rapidly becoming a familiar occurrence in today's fire service. While the mission is still the same, the tactics used when fighting these fires need to change to make for a safer environment. This presentation will put you in the first due unit arriving at a reported structure fire inside a Hoarded home. From hoarder recognition to salvage and overhaul students will be exposed to the different thought process used while fighting fires in hoarded homes. "Hoarder Homes: Piles of hazards for firefighters" will return you to quarters with the knowledge and tools to come home safe! The intent of this presentation is to expose the students to the ins and outs of fighting a structural fire inside a house with a hoarder type conditions. Multiple variables will complicate the use of normal tactics when faced with areas that are no longer able to be used for their intended purpose. The learning objectives will be to identify factors such as hoarder front yards, tactical changes used while fighting these types of fires, and overhaul techniques used on massive amounts of belongings. This program hopes to introduce new ways of thinking when engaged in fire operations inside hoarded homes. The target audience of this program is from the chief level to the street level firefighter. Knowing your stuff when faced with a hoarder fire is valuable to everyone on the department. During the program all aspects of a hoarder response will be covered. The knowledge gained can benefit everyone who attends, no matter what rank or level. 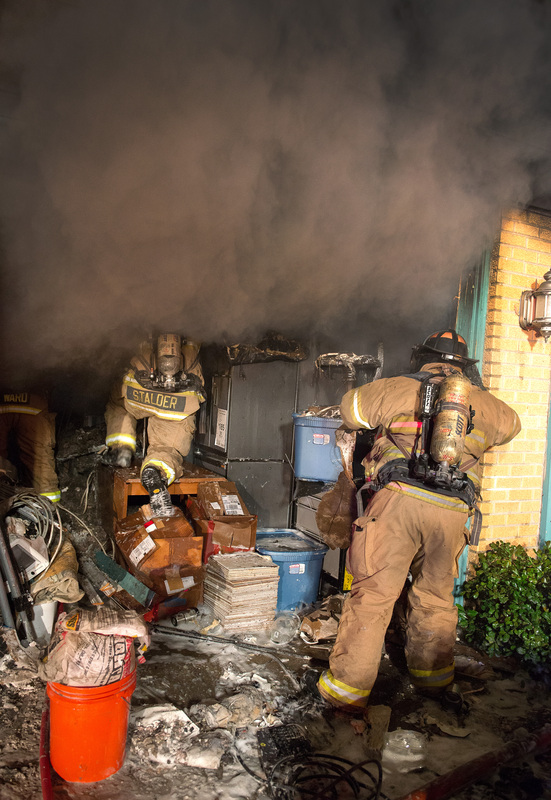 Managing patient care and access inside hoarding conditions is rapidly becoming a familiar occurrence in today's EMS world. It is time for us to take a look at the dangers faced, not only when entering a hoarding environment, but after patient care. From increased exposure to biohazards to patient access issues, the students will be exposed to a different thought process and learn tactics to help protect them from myriad of hazards when dealing with patients inside hoarding conditions. Hoarder Homes: Piles of Hazards for EMS will return you to quarters with the knowledge and tools to come home safe. The intent of this presentation is to expose the students to the ins and outs of emergency medical response inside a house with a hoarder type conditions. Multiple variables will complicate the use of normal tactics when faced with areas that are no longer useable for theirr intended purpose. The learning objectives will be to identify factors such as hoarder front yards, selection of proper PPE, possible biohazards (human, animal and manmade), patient access issues, patient removal issues, and collapse risks while operating around massive amounts of belongings. We will also examine the standardized levels of hoarding and how responder actions and word can mentally impact the patient they are treating. This program was designed to introduce new ways of thinking when engaged in EMS operations inside these environments. The target audience of this program ranges from the chief level to the street level EMS provider, because these incidents are often well beyond the scoop and run that we are used to. Knowing your stuff when faced with a hoarder medical emergency is valuable to everyone on the department. During the program all aspects of hoarder response will be covered. The knowledge gained can benefit everyone who attends, no matter what rank or level. For information about scheduling a class send a email to Ryan33@suddenlink.net. 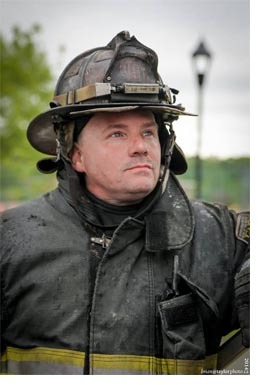 FDIC International 2015 Class Introduction from ryan pennington on Vimeo. January 24, 2015 Fort Saskatchewan Fire Dept. Behind that door could be a Hoard? Hoarder Homes: It's not just reality television anymore!